The Daily Express International Trophy Meeting at Silverstone is one of the highlights of the British racing season and this year, organised by the B.R.D.C. 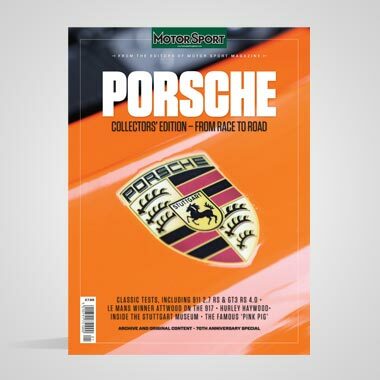 on May 5th, it provided good entries, plenty of variety, and exceedingly interesting and significant racing, run at fantastically high speeds for a British circuit. 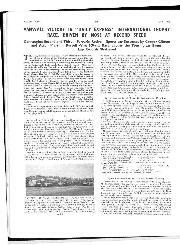 Moss drove one of Vandervells new VanwaIls to a convincing victory (his average speed for the 180 miles exceeding the former absolute lap record) in the Formula I race, with British cars filling the second, third and fourth places, Hawthorn's B.R.M. establishing a new lap record of 102.3 m.p.h. in company with the winning Vanwall before it retired. Fangio and Collins in Lancia-Ferraris were outpaced before clutch trouble forced them to withdraw. Cooper beat Lotus in the small sports-car race, Aston Martin DB3S vanquished D-type Jaguar in the over-1,500-c.c. sports-car race, Salvadori winning on both occasions, but Jaguar Mk.VII retained its former superiority in the production touring-car race, and Jim Russell's Cooper-Norton took 500-c.c. honours. A crowd of 100,000 watched the racing under good weather conditions, and good organisation was evident when Salvadori, Oliver, Scott-Russell, Parnell, Titterington, Sanderson and Collins were involved in accidents, from which, luckily, only Salvadori, Scott-Russell and Oliver sustained injuries, which were not too serious. 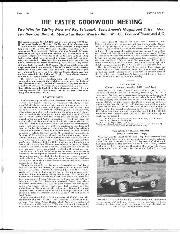 The Vanwall's epic victory was contributed to by B.P. fuel and oil, Pirelli tyres, Borrani wheels, Ferodo brake linings, Bosch fuel injection, Ceco fuel pump, B.T.H. ignition, Armstrong shock-absorbers and K.LG. plugs. - W. B. At last all the British G.P. cars came together, for at Silverstone Vandervell fielded two of the imposing new Vanwalls, with space-frames designed by Colin Chapman, revised suspension and new bodies with extended nose cowls and high tails merging with wrap-round windsereens; Hawthorn had the lone B.R.M. 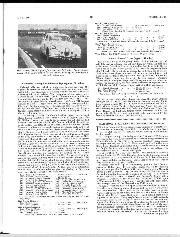 ; and Connaught entered five Syracuse models, appearing at Silverstone for the first time, all with the latest suspension, non-streamlined bodies and this time using 7.00 Pirelli back tyres. Pistons 10 per cent. stronger than before were fitted to all save Oliver's, which was the same as the others except for having the older pistons. These Connaughts tended to oversteer and were in any case set a limit of 6,500 r.p.m. to humour the pistons. They were opposed by two Scuderia Ferrari Lancia-Ferraris driven by Fangio and Collins, and various Maseratis and lesser fry. Practice times were intriguing in the extreme, for Schell got round at 103.31 m.p.h. (1 min. 42 sec.) in his Vanwall, which had done 400 miles on test, and this unofficially shattered the lap record pretty thoroughly! Fangio, Hawthorn, and Salvadori in the Gilby Maserati managed 1 min. 44. sec., also faster than the old Thinwall Ferrari lap record, but Collins was a second slower in the other Lancia-Ferrari. Fangio's Syracuse car had the exhaust stubs emerging from the pannier fairings in the form of a box of four on each side, whereas Collins' Argentine car had a fuel tank in the front of these pannier fairings and the exhaust stubs protruding in a line of four (see photographs in the May issue). Those who thought Schell's meteoric lap to have been mistimed or a flash in the pan unrepeatable in the race, were sobered by Moss equalling this time of 1 min. 12 sec. on two occasions on the Friday, when Fangio only managed 1 min. 43 sec., doing so on six occasions without improvement; the B.R.M. also equalling this. Collins did six laps at 1 min. 11 sec. and Scott-Brown headed the Connaught contingent with 1 min. 46 sec. It was a case of going to bed that night with the realisation that at last British G.P. cars existed which were faster round Silverstone than the best Fangio and the Scuderia Ferrari could put out! Would they last, on the morrow? 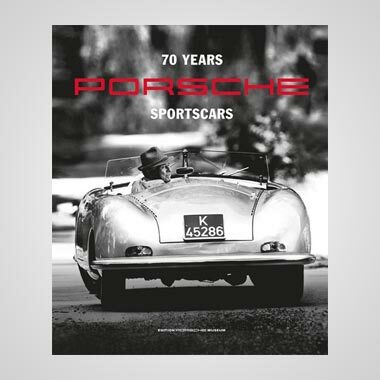 At 10.30 a.m, on the Saturday morning, with a cold wind blowing across Silverstone, the small sports cars lined up for their race. 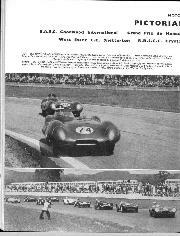 11 Coopers opposed by seven Loti, the Maseratis of Bonnier and Naylor and Brooks in Coombs' Lotus-Counaught. Unhappily the two E.M.W.s were absent, although they had got as far as Paris a week earlier, Moss wasn't running his new Cooper-Climax, and the two Porsches were non-starters, De Lemos' because it baulked others in practice, Milhoux' yellow Spyder because it dropped a valve after fast laps on the Friday. Brabham drove Russell's works Cooper-Climax, leading lap one and making a good job of the race, although outpaced after this fast lap by Salvadori, driving a works Cooper-Climax on the limit to draw well away from Chapman's Lotus-Climax. Higham spun at times in his old Lotus, raising our blood pressure, and Chapman spun at Beckett's but recovered, he and Salvadori both lapping at 95.7 m.p.h. Having fallen to fourth place behind Brabham and Leston in the Willment Speed Shop's Cooper-Climax, Chapman came up again to second place by lap 10. No one could get near Salvadori, who was cornering on the limit, his Dunlops protesting, but when Brabham's gearbox packed up Leston moved automatically to second place, Allison's Lotus retired with suspension failure and McMillan's Elva succumbed to engine trouble. Neither of the Maseratis could match the faster British 1 1/2-litres, but Bonnier worked up to sixth place, only to spin and drop back. Getting out of the winning Cooper, Salvadori took his place for the Le Mans start of the big sports-car race. 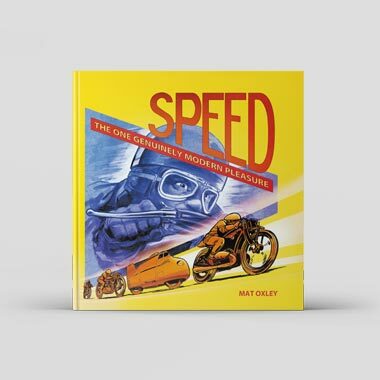 He made a splendid getaway and almost immediately built up a commanding lead in one of the four disc-braked DB3S Aston Martins entered by the works. The works D-type Jaguars, of which Titterington's had a de Dion back axle and Fairman's Lucas fuel injection, did not seem to handle so well as the Aston Martins. For 15 laps Hawthorn's Jaguar held second place without making any appreciable gain on Salvadori, although he lapped faster than any other driver in the race. Troubled by the steering, he made a brief pit-stop, on lap 17, letting Moss (Aston Martin) into second place, and soon afterwards Hawthorn retired. Fairman's works Jaguar also retired and a remarkable four-car crash at Club Corner eliminated the other works Jaguar and Aston Martins when Titterington moved out of the way of the forceful Salvadori and, getting into a spin, was clouted by Sanderson's Ecurie Ecosse Jaguar, which Parnell's Aston Martin shunted, bringing Collins' Aston Martin onto the bank with him. The new safety bank restrained all four cars, which were extensively damaged, and all the drivers were unhurt. Flockhart somehow scraped through, leaving marks along the side of his Jaguar! At this time Alan Brown in an Ecurie Ecosse Jaguar was running fourth ahead of Berry's D-type Jaguar and Musy was coming up in his 3-litre Maserati, Flockhart's Ecurie Ecosse Jaguar in sixth place. Brown then spun twice at Beckett's, letting Berry, a fine driver, go by. Bonnier was handling his 3 1/2-litre Alfa-Romeo nicely, chased by Gerard in de Puy's 3-litre Maserati, while Scott-Brown headed the 2-litre group by a big and handsome margin in the Valspar-finished Lister-Maserati. Wharton never got amongst the leaders in the Scuderia Ferrari 3-litre Monza Ferrari, spinning, due to the Club Corner incident, losing all but one gear, and finally retiring with a broken fuel pipe. Peter Whitehead beat Mackay Fraser's big Ferrari in his 3-litre Maserati and Laurent's yellow 2-litre Ferrari was faster than McMillan's D-type Jaguar, both however tail-enders. Young's Lotus-Connaught ran out of brakes, Anthony's Lotus-Bristol retired and at the end of the race Scott-Russell's Lotus-Bristol caught fire on Hangar Straight, ran off the road, threw the driver out, and ran back onto the track. The flames were quickly put out, only to flare up again, but the driver was not badly hurt. 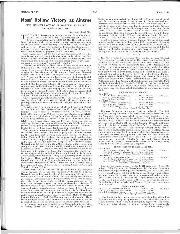 Note that Salvadori's speed was lower than in the 1 1/2-litre race! After lunch, which the Daily Express provides lavishly for its guests, came the big race of the day. There were 25 entries, whittled down to 21 starters, as Moss' Maserati was withdrawn to enable him to drive a Vanwall in place of Trintignant, and the Maseratis of Halford, Wharton and Piotti were absent. Somervail took over Birrell's smart Border Reivers Cooper-Bristol but non-started, and Brooks was appointed reserve driver of the B.R.M. So, as the cars came out to the starting grid, we wondered - the Vanwalls were faster than the Lancia-Ferraris, but would they last? Connaught had five Syracuse cars entered by the works, for Scott-Brown, Titterington, Fairman and Oliver, with another in red Valspar for the Italian driver Piero Scotti. In addition, Parnell had R.R.C. Walker's "lesser" Connaught and Gibson, Holt and Young had F. II Connaughts - as McAlpine jovially remarked, if he hadn't gone into motor racing the field would be small indeed! Two Gordinis, Pilette in the all-enveloping eight-cylinder, Da Silva Ramos in an older 2 1/2-litre six-cylinder car, the Cooper-Bristols, Gerard's enlarged to 2,246 c.c., and Rosier's Maserati completed the field. The front row of the grid was occupied by Moss and Schell in Vanwalls (1 min. 42 sec. 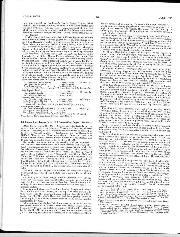 ), the B.R.M. and Fangio's Ferrari (1 min. 43 sec.). 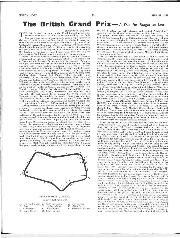 As the flag swept down Fangio made a champion start and led Moss, but Hawthorn used the B.R.M. 's splendid acceleration to take the lead on that sensational first lap, Parnell already out, walking disconsolately from his Connaught at the first corner - its gearbox useless. Laps two and three saw Hawthorn leading Fangio and Schell, Moss, Collins and Scott-Brown, but on lap four Moss moved into third place, both the Vanwalls leading Collins. Lap six saw Moss behind the B.R.M., which Hawthorn had been getting round at 101.32 m.p.h., then at the new record speed of 102.30 m.p.h., equalled immediately by Moss. Collins managed to displace Schell and after ten of the 60 laps the race settled down in this order: Hawthorn, Moss, Fangio, Collins, Schell, Scott-Brown, the B.R.M. averaging 100.45 m.p.h. Alas, on lap 14, the B.R.M. cut out at Abbey Corner for no apparent reason (in fact, the magneto-drive had sheared) and the luckless Hawthorn had no option but to walk in. Fairman's Connaught stopped very briefly to locate a faulty plug (later it was withdrawn as a bent valve might have wrecked the engine, the driver having gone up to 6,900 r.p.m. ), but Gibson's old Connaught lost two minutes having a couple of plugs changed. British hopes still ran high, for Moss was driving beautifully in a healthy-sounding car and the calm Fangio, he and Collins working hard at the wheels of their Lancia-Ferraris, could make no impression on the Vanwall. However, the question "Can it last?" was foremost in our minds, for Schell's Vanwall - the cars were, of course, in their first 1956 race - changed plugs on lap 19 and retired on lap 20 with a broken pipe in the Bosch fuel-injection system. At 20 laps Moss had averaged 100.59 m.p.h. and led Fangio by 54 sec. A lap later Fangio's engine was heard to rev. up as he went down to Club Corner and he pulled in to retire with clutch failure. Collins' car, which was then 12 sec. behind, was halted for the World Champion to take over, but although the stop cost but 6 sec., it was of no avail, because on lap 28 Fangio was again clutchless and both Ferrari entries were out of the race. Meanwhile Gibson's Connaught stopped for more new plugs, Brabham's ex-Owen Maserati was leaking water, which called for investigation, and then Oliver's Connaught appeared to lose its front brakes, locking its back wheels into Woodcote Corner. The car somersaulted and finished up unpleasantly near to the spectators. Oliver was flung out and taken to hospital with concussion and abrasions. Up to then Oliver had not exceeded 6,300 r.p.m. At 30 laps Moss, averaging 100.47 m.p.h., led the race by 2 min. 10 sec., driving calmly and with his usual style. The retirements had brought Salvadori and Scott-Brown through to second and third places, which they swapped frequently, although Scott-Brown's idea was to sit behind Salvadori's Maserati and push it along; he was running at 6,400 r.p.m. with one excursion to 6,850 r.p.m. 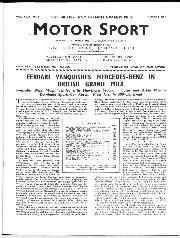 The Maserati led the Connaught by one second at 30 laps, Titterington's Connaught a lap away in fourth place and Da Silva Ramos' Gordini fifth with 28 laps covered, pursued by Gerard's Cooper-Bristol. The older cars were generally quite out of the running, Holt's Connaught taking 4 min. 5 sec. on a refuelling stop and for the throttle spring to be secured, Brabham losing 60 sec. looking for an oil leak, and Young taking on water and oil in a 2-min. pause. Brabham's Owen-Maserati was finally black-flagged for dropping oil, after many laps with oil-smoke pouring from the cockpit, while Pilette's Gordini broke its back axle. Again Holt came in to have the throttle spring of his Connaught secured and Young's Connaught was in dire trouble, 4 min. 37 sec. being lost looking for oil pressure, after which it restarted, caught fire and retired. The Salvadori/Scott-Brown cars ran close together with never more than a second or a handful of lengths between them. At 50 laps Moss led by 1 min. 28 sec., at 100.64 m.p.h., Scott-Brown having averaged 98.98 m.p.h. He was now in second place because of an unhappy accident to Salvadori on lap 49. Coming down to Stowe Corner, Scott-Brown pushing the Maserati for all he was worth, Salvadori failed to slow the car soon enough and it shot straight through the wattle fencing and, mounting the safety-bank at an angle, overturned. Salvadori was pinned beneath the car, which marshals and spectators quickly lifted off him. He was conscious and not seriously injured. The race now resolved into a procession - ably led by Stirling Moss in a British car. On 14 occasions he equalled Hawthorn's new lap record of 102.30 m.p.h., which beats the old F.1 record by 3.82 m.p.h. and the absolute Silverstone lap record set up by Farina in the 43-litre Ferrari Thinwall - another of Tony Vandervell's cars - by 2.14 m.p.h. Moss won by a clear lap from Scott-Brown, who upholds his early promise by this second place in a slower British car. Titterington's Connaught, not exceeding 6,800 r.p.m., was third, Gerard's old Cooper-Bristol fourth - a British triumph at last. Moss averaged a higher speed (by 0.31 m.p.h.) for the 180 miles than the former lap record by the 43-litre Ferrari! Scotti's Connaught never exceeded 6,300 r.p.m. Although this was called a production touring-car race, the regulations permitted the usual modifications; even so, one heard that a Riley was disqualified for having disc brakes and a Ford for possessing o.h. inlet valves. The remainder of the entries were scarcely as you can buy them. [And if Wharton's Austin A90 was a production touring model I'll swallow my VW - Ed.]. But the race was of great interest nevertheless. Bueb's Mk.VII Jaguar, thought to have a C-type head, was exceedingly hard-pressed by Wharton's Austin, which, faster through the corners, just failed to get by into the lead. Hawthorn was again unlucky, his 2.4-litre Jaguar retiring after it had led the entire field, including the 3 1/2-litre Mk.VIls, for two laps. After five laps Duncan Hamilton's 2.4-litre Jaguar was in third place, having overtaken Paul Frere's 3.4-litre Jaguar - good for Sir William Lyons that already he is racing the 2.4-litre model! Bonnier's left-hand drive 1,900 Alfa-Romeo, full-width fly deflector on its scuttle, was fifth, ahead of Grace's Riley Pathfinder. Scott-Brown was upholding the small engine, two-stroke cycle and front drive in a D.K.W., and Parnell had his two-carburetter, twin-exhaust-pipe 1 1/2-litre Borgward fractionally in front of Foster in the works M.G. Magnette through Stowe and was able to pull away up the rise to the pits, the German car looking very stable, whereas the M.G. rolled and plunged through the corners. Waller's M.G. Magnette got too hot, touring one moment, racing the next, Coombs stopped his 2.4-litre Jaguar to take on water and later to make a mysterious under-bonnet adjustment at Stowe Corner, and the M.G. pausing for 5 min. to cool sufficiently to take on water. Peter Easton spun his Fiat 1,100 and later damaged its engine, calling for retirement, Scott-Brown amusing the spectators by hooting at it. Aley's Renault 750 was painfully slow but the D.K.W.s cornered as if on rails, as the saying is, lifting their inside back wheels. Grace's Riley sounded sick and fell back, behind the Alfa-Romeo, Borgward and works M.G., but the intense Jaguar/Austin duel held to the end, both drivers lapping at 81.68 m.p.h., while Parnell eventually crossed the line a second ahead of Foster's M.G. As this race was so interesting and is liable to influence sales we give the placings in full - they repay close study - as well as the class results. This produced a good ding-dong finale. S. Lewis-Evans got off well, followed by Allison, who got past him, but when the race had settled down Russell built up a commanding lead from Colin Davis, then Bueb and Lewis-Evans got by Davis, Lewis-Evans passing Bueb who fell back. Davis set about passing Lewis-Evans, did so on lap 12, then lost three places, but managed to come up again into second place on the last lap, Bueb, right on his tail, again third, followed by Allison, Boshier-Jones and Parker in Taylor's Cooper. Wicken's Cooper seized its engine, Fergusson's Emeryson went out when the carburetter flange broke, and the engine of Dawson's Cooper seized up at Club Corner, while Denley (Cooper) retired with brake failure. It was a nice touch that, during the day, the Daily Express arranged for R. Adams and his crew to demonstrate the Monte Carlo-winning Jaguar Mk.VII, L. Sims to do likewise in the R.A.C. Rally-winning Aston Martin DB2/4, and for Nancy Mitchell and Miss Faichley to parade the M.G. MGA and Sheila van Damm and Peter Harper the Sunbeam Rapier which performed well in this year's Mille Miglia, a gesture no doubt fully appreciated by the crowd of 100,000 which watched the racing.